"The New Carbon Architecture is a paradigm-shifting tour of the innovations in architecture and construction that are making this happen. Office towers built from advanced wood products; affordable, low-carbon concrete alternatives; plastic cleaned from the oceans and turned into building blocks. We can even grow insulation from mycelium." • How do buildings impact the environment? • What is LCA and how is it used to evaluate buildings? • What is the process of performing an LCA of a building?" "This paper introduces architects to carbon assessment in the built environment and its application through the RIBA work stages. It makes the case for architects’ role in reducing carbon emissions to mitigate climate change, explains the key concepts of embodied and whole life carbon and recommends the use of the Royal Institution of Chartered Surveyors (RICS) methodology for undertaking detailed carbon assessments (RICS Whole life carbon assessment for the built environment professional statement 2017)." "Embodied and Whole Life Carbon will change the way buildings are designed, yet carbon emissions associated with the construction and life of buildings are not yet wholly understood by the profession. Energy is assumed to be the province of services engineers, yet energy from materials is as big an issue. Architects have the opportunity to take the lead in redefining how buildings are designed to achieve a low carbon future. This book is an accessible and friendly read, introducing and explaining many of the concepts around Embodied and Whole Life Carbon, using case studies taken from in-depth research. It will demonstrate how architects can become central to the carbon resource impacts of the buildings they design and how low carbon approaches should drive innovation." "Attribute-based design and specification guidance aimed at reducing the embodied carbon impacts of the built environment." "The purpose of this guide is to set out clear and practical guidance to enable built environment clients to begin requesting embodied carbon measurements. This includes understanding the outcomes from an assessment and how to start acting on the results. • gives practical tips on how to use the outcomes of an assessment. • The guidance is appropriate for any capital investment intervention in the built environment such as new build, refurbishment or renewal whether in buildings, infrastructure or other built assets." Review of international policies and programs that are intended to reduce embodied GHG emissions of buildings and infrastructure projects over their life cycle. Jurisdictions reviewed: Belgium, France, Germany, The Netherlands, Sweden, Switzerland, and the United Kingdom. "This groundbreaking study, The Greenest Building: Quantifying the Environmental Value of Building Reuse, concludes that, when comparing buildings of equivalent size and function, building reuse almost always offers environmental savings over demolition and new construction. Achieving Zero is a framework of integrated polices and standards for national and sub-national governments (state, provincial and municipal) to phase out CO2 emissions in the built environment by about 2050. "The Building Efficiency Accelerator (BEA), part of the Global Efficiency Accelerator Platform under the United Nations’ Sustainable Energy for All (SEforALL) Initiative, is a multi-stakeholder network made up of over 30 businesses and organizations that work with local and sub-national governments in order to increase the uptake of energy efficiency policies and programs in the building sector. The BEA connects the expertise of its wide partner network to its subnational stakeholders. With this purpose, the BEA has compiled resources to assist subnational jurisdictions in prioritizing and implementing building efficiency actions. This page contains the growing collection of resources related to Retrofits." The report’s key findings offer policy-makers, building owners, developers, architects and engineers compelling evidence of the merits of reusing existing buildings as opposed to tearing them down and building new." "Authored by StopWaste and Arup, this primer provides an overview of a circular economy framework for the built environment at the community, neighborhood and building scales. The ideas and concepts included here are intended to stimulate local government decision-makers and staff in Alameda County and beyond to consider policies and actions in their jurisdictions. It illustrates concepts with real-world examples of sites and policies. The document is intended to initiate conversation and action among public policymakers, public agency staff and other partners." "Cities are setting goals on a pathway to zero or near-zero carbon, but they must address their biggest source of carbon emissions—existing buildings—using thoughtful policies to swiftly and cost-effectively deploy energy efficiency and distributed renewable energy systems. "NBI has been leading the market development of zero energy (ZE) buildings since 2008 when we supported the development of the first ZNE Action Plan to help California meet its ambitious zero energy goals. Since then, we have been tracking the counts and location of zero energy verified and emerging projects across the United States and Canada. ZE buildings are ultra-low energy buildings that consume only as much power as is generated onsite through renewable energy resources over the course of a year. Verified projects have been reviewed by NBI or another third-party as having achieved ZE performance. Emerging projects are those that have a stated ZE goal, but have not yet been verified with 12 months of energy use and generation data." In this section you will find leading examples of policies and goals of states and local jurisdictions (strategic plans, energy plans, and climate action plans), programs working toward zero energy, and state and local jurisdiction energy codes and stretch codes. This section includes resources on feasibility studies of zero energy on district, state, and national levels; cost studies which address the challenge of zero energy construction within a budget; means of financing a zero energy project and incentive programs to support this; and technologies which drive zero energy design. This section addresses the many definitions of and new vocabulary associated with zero energy; it offers tools available for use by various stakeholders in a zero energy project; and it links to webinars presented by industry experts eager to share their knowledge of zero energy. This section highlights state policies and national programs working toward zero energy schools; districts pursuing zero energy and the strategies they use to achieve this target; feasibility studies, assessment strategies, and other technical looks at zero energy school design; and case studies of successful zero energy school buildings." "Since electric lights first appeared in buildings, the electrical grid and buildings have had an important relationship. To date, that relationship has largely been one-sided—the grid provides electricity, and buildings are passive consumers. However, new technologies and efforts to reduce energy costs and the environmental impacts of electricity generated from fossil fuel are rapidly transforming how buildings interact with the electrical grid. Additional drivers in this transformation include technological advancements and falling prices in renewable energy technology, batteries, sensors and controls, remote access technologies, and building management systems.This document is intended to explain the issues and terminology, as well as the challenges and opportunities, associated with changes underway in the electricity sector that affect buildings professionals." 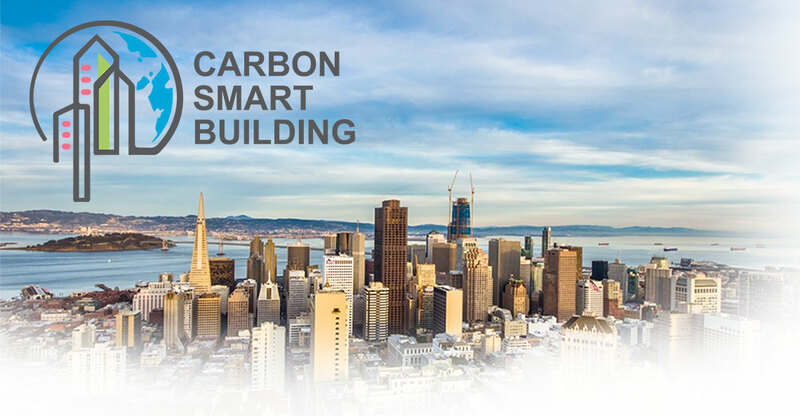 "An actionable guide explaining the business case and process for developers and landlords to pursue net-zero energy (NZE) leased buildings." "Moving Energy Codes Forward: A Guide for Cities and States provides critical steps to achieve significant code improvements through the adoption of stretch codes and provides a practical framework for implementing advanced codes and outcome policies. It offers guidance, resources and examples of advanced code adoption based on New Buildings Institute's stretch code development and adoption experience working with states and communities." Using the Living Product Challenge framework, you can create Living Products that are healthy and free of toxins, socially responsible and respects the rights of workers, and net positive and benefit both people and the environment.